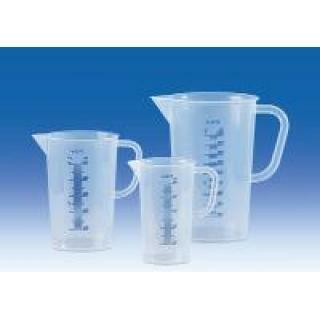 Moulded & printed graduation polypropylene (PP) measuring jugs. 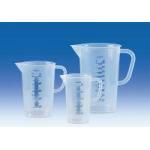 Ideal for general laboratory use and a wide variety of other applications. With embossed scale and blue graduations. Food-safe products acc. to EC Directive No. 10/2011.